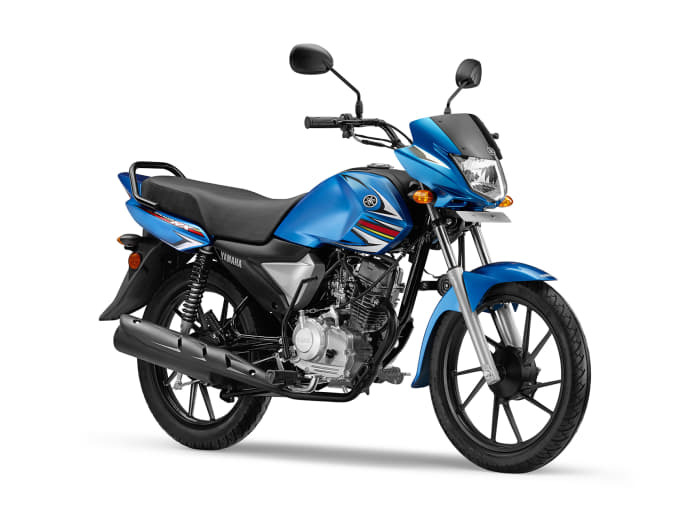 63+ User votes to help you find Yamaha bikes in India. The well known Japanese motorbike manufacturer Yamaha is a well trusted brand throughout the world. 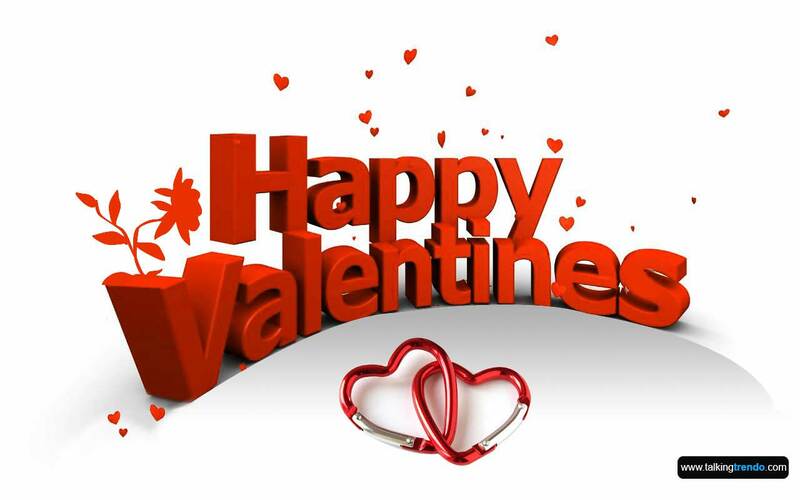 It has well established itself in almost every major nation across the globe. The Yamaha Motor Company was established was established in the year 1955 upon separation from the company Yamaha Corporation. This company is well known for its wide ranged products such as motorcycles, motorized bicycles and some products such as fishing boats and sails boats too, used for marine purposes. Mainly, Yamaha rose to success due to its enormous victories in motorcycle racing championships held at International levels. They hold 6 titles in MotoGP and have provided their ride to legendary riders such as Eddie Lawson, Jeremy McGrath, Jorge Lorenzo and Valentino Rossi. Their first motorcycle launched in India was RX 100 in late 1980’s. 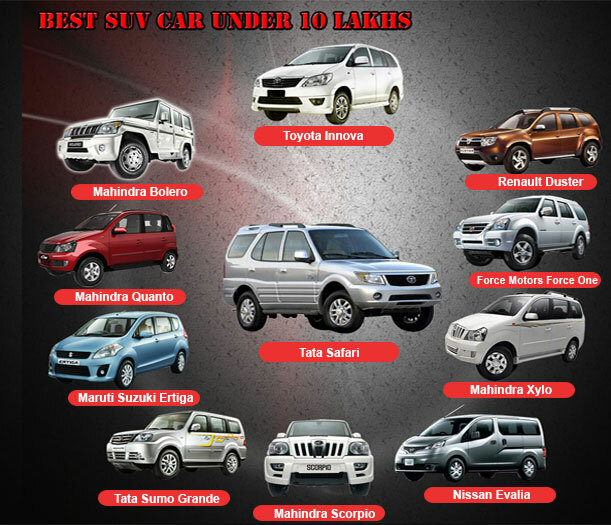 They have some more amazing machines launched into the Indian markets. Here is the list of the most magnificent rides in India launched by Yamaha. Which is your favorite Yamaha bike in India? Yamaha YZF R15 V 3.0 – Yamaha finally launched the much-awaited full faired bike YZF R15 V 3.0 in India. 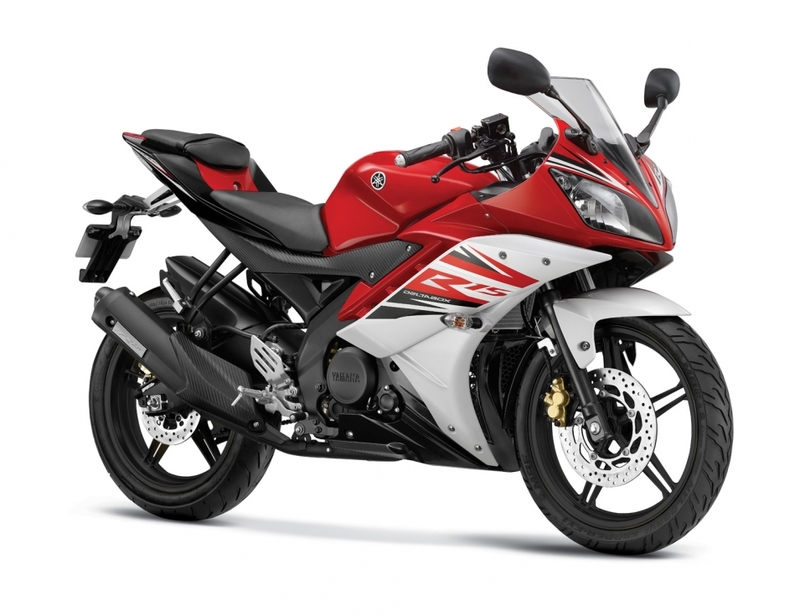 Yamaha updated the R 15 series and lunched the all new R15 Version 3.0 is thrid version of this bike. The new R15 V 3.0 come with new eatures include split LED headlamps, large intake upfront, redesigned fairing, fully digital instrument cluster, raised saddle height of 815mm, chiselled tank and the large exhaust muffler. The bike is powered by the new liquid-cooled, fuel-injected, single-cylinder 155cc engine with Yamaha's Variable Valve Actuation (VVA) system that’s capable of producing a max power of 18.70 Bhp at 10,000 rpm and 14.7 Nm of peak torque at 8,500 rpm. The engine is mated to a 6-speed gearbox and comes with a slipper clutch. The bike comes with iconic fully faired race design. 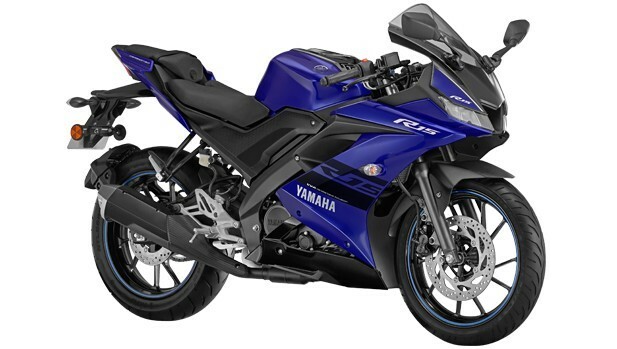 Yamaha YZF R15 is the first affordable full faired sports bike in India. Yamaha SZ-RR Version 2.0 – Yamaha SZ-RR is the good looking entry-level performance bike from Yamah. The cosmetic upgrades on the new bike are minimal yet give the motorcycle a fresh look. The Yamaha SZ-RR V 2.0 is now equipped with the new Blue Core technology engine concept, the bike is also said to be more efficient than ever before. The bike is powered by a 149 cc, air cooled, 4-stroke, 2-valve, SOHC engine that churns out 11.9 Bhp at 7500 rpm and peak torque of 12.8 Nm at 6000 rpm. The engine is mated to a five-speed gearbox. Yamaha launched the updated bike for the buyers looking for a fuel-efficient and fairly powerful bike. Yamaha SZ-RR Version 2.0 is the fulfills the value for money statement. Yamaha Fazer FI Version 2.0 – Yamaha Motor India update the version of Fazer and lunched the new Fazer-FI Version 2.0 with Fuel Injection (FI) system. Yamaha Fazer Fi is even the most affordable semi faired version of Yamaha FZ series. The Fazer series is known for its sporty looks and high performance bike in 150cc segment bike from Yamaha Motor India. The bike is powered by a 149 cc, single cylinder, air-cooled, 4-stroke, 2-valve, SOHC engine with Fuel Injection (FI) that churns out 12.9Bhp at 8000 rpm and a peak torque of 12.8 Nm at 6000 rpm. The engine is mated to a five-speed gearbox. The bike come with Yamaha’s new Blue Core technology to improve the performance and mileage from bike. Yamaha FZ25 – Yamaha FZ25 is a quarter liter naked street bike from Yamaha. Yamaha FZ25 is the first high end entry of the company in the 250cc segment as far as the Indian bike market is concerned. Yamaha FZ25 is a premium segment offering and looks like a very stylish naked street bike. The bike come with LED headlight and tail light and all-new alloy wheels. The bike is powered by a 249cc, single-cylinder, Air cooled, 4-stroke, SOHC, 2-valve, Blue Core engine with fuel injected that churns out maximum power of 20.69 Bhp at 8000 rpm and maximum torque of 20 Nm at 6000 rpm. The engine is mated to a five-speed gearbox. The Yamaha claimed mileage of 43 kmpl which is good enough for a bike in this segment. Even at this price this is one of the most attractive offerings from Yamaha given its high torque and very fuel-efficient engine. 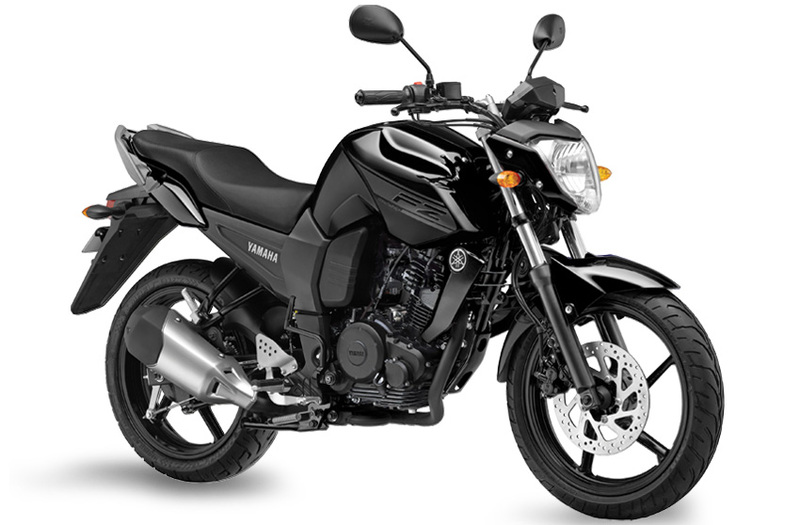 The 250cc commuter bike for the niche segment and for the buyers who don't run after high-end performance. Yamaha Saluto – Yamaha Saluto is the 125cc commuter bike from Yamaha. The bike is appreciated in the market due to its best-in-class fuel economy. The Saluto come with stylish looks and gets basic features as that of a commuter bike. The bike is powered by a 125 cc, air cooled, 4-stroke, 2-valve engine that churns out 8.18 Bhp at 7000 rpm and peak torque of 10.1 Nm at 4500 rpm. The engine is mated to a four-speed gearbox. Yamaha Saluto is equipped with the new Blue Core technology engine concept, the bike provide refined good performance and mileage. The bike is appreciated in the market due to its best-in-class fuel economy. Yamaha MT-09  – Yamaha MT-09 is the naked street fighter from Yamaha. The bike follows a more sober design approach to give out a neutral feel. The bike features upright seating posture with easy access to controls and it also has perfect ergonomics for riding in all conditions. The bike is powered by a 847cc, 3-cylinder, liquid-cooled, 4-stroke, DOHC, 4-valves engine that churns out 113.4 Bhp at 10000 rpm and peak torque of 87.5 Nm at 8500 rpm. The engine is mated to a six-speed gearbox. 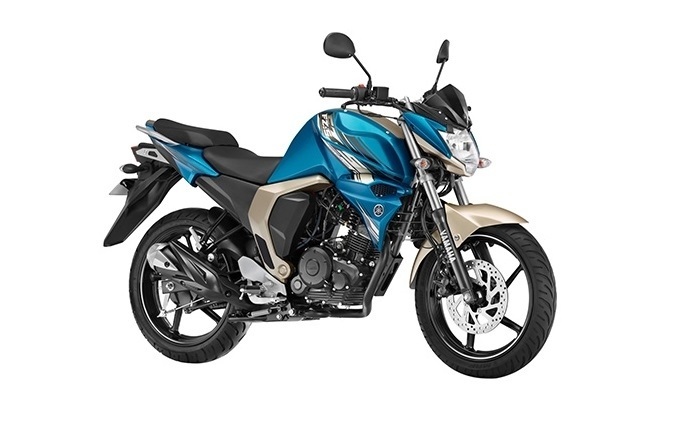 The bike come with force a traction control mechanism depending upon the terrain with an optional ABS system comes across as a pretty fine sports bike. Yamaha India has made a bold statement that it plans to compete in the growing super bike segment. The bike has been done to attract all kinds of riders. Yamaha FZ Version 2.0 – Yamaha FZ is one of the most successful street bike in India. FZ series from Yamaha has enjoyed a strong presence in the 150cc bike segment. Yamaha Motor India update the version of FZ Series and lunched the new FZ Version 2.0 in India. The new version come with featuring a host of mechanical and cosmetic updates. The bike is powered by a newly designed air-cooled, 149cc single-cylinder engine with Fuel Injection (FI) that churns out 13.8 Bhp at 7500 rpm and a peak torque of 13.6 Nm at 6000 rpm. The engine is mated to a five-speed gearbox. The bike come with its new Blue Core engine concept that concentrates on improved efficiency. The bike come with stylish looks, reliable build quality and impressive performance. Yamaha YZF-R15 S – Yamaha launched the YZF-R15 S for the Indian market based on the user feedback as many demanded the single, long seat on the sport bike. 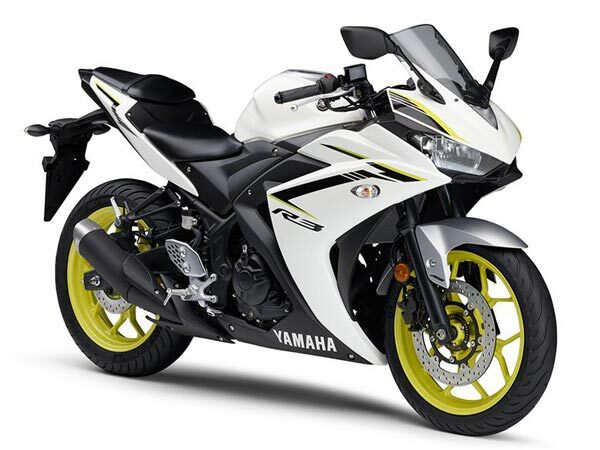 R15 S is the another variant of the YZF series by Yamaha. The sporty looks and better performance of this bike made it famous instantly and looking at its popularity and rising competition. The bike is powered by a 149.8 cc, Liquid-cooled, 4-stroke, 4-valve SOHC engine that churns out 16.36 Bhp at 8500 rpm and a peak torque of 15 Nm at 7500 rpm. The engine is mated to a five-speed gearbox. The bike come with an influential design and carries all of the advanced engine technologies like liquid cooling and electronic fuel injection. This sporty bike was introduced in Indian market with a very clear intention of targeting youngsters as well as middle-aged men. Yamaha YZF R1  – Yamaha YZF R1 is the premium super sports bike from the Yamaha. Yamaha YZF R1 is the flagship racer for the company, providing riders with the opportunity of experience the MotoGP experience with a road legal machine. 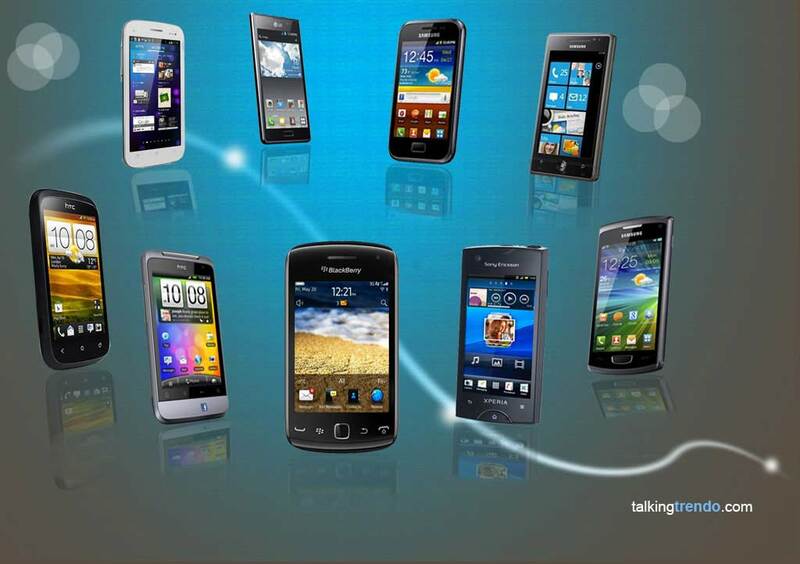 It was launched in India in the year 2009. Yamaha has gone out of its way to give the new R1 a fresh new look while keeping it in touch with its rich heritage. The bike is powered by 998cc, liquid-cooled, 4-stroke, DOHC, forward-inclined parallel 4-cylinder engine. The engine now churns out 197.3 Bhp of power at 13500 rpm and 112.4 Nm of torque at 11500 rpm. The engine is mated to a six-speed gearbox. The bike come with electronics package includes traction control, slide control, launch control, wheel-lift control and ABS. The new YZF R1 has been improved both in terms of technology and performance, making it one of the most advanced litre-class superbikes available in the country, today. Yamaha YZF-R1M  (Upcoming) – Yamaha YZF-R1M is the premium super sports bike from the Yamaha. The YZF-R1M litre-class super bike is a track-focussed version of the R1 which gets advanced electronic suspension and host of other upgrades to make it quicker around race tracks. The R1M shares most of the technical specifications with the standard R1 and it gets carbon fibre bodywork, to further reduce its weight. The bike is powered by 998cc, liquid-cooled, 4-stroke, DOHC, forward-inclined parallel 4-cylinder engine. The engine now churns out 197.2 Bhp of power at 13500 rpm and 112.4 Nm of torque at 11500 rpm. The engine is mated to a six-speed gearbox. The motor is coupled to an electronic fuel injection system that delivers an uncompromised racing experience. The bike come with modern electronics package includes traction control, slide control, launch control, wheel-lift control and Antilock braking system (ABS). Yamaha Saluto RX – Yamaha Saluto RX is a light weight commuter bike from Yamaha. 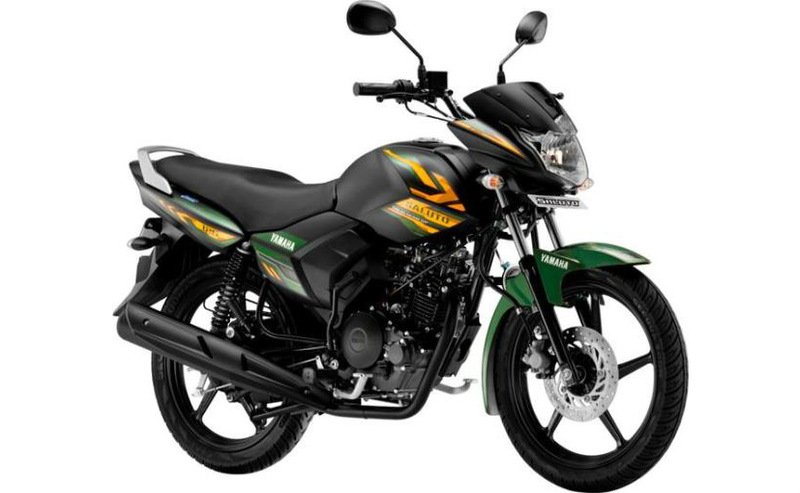 The Saluto RX is a 110cc commuter designed for young male riders across the India. The front of the Saluto RX features a bikini fairing with a curvy headlamp unit, while the tank is sculpted to give it a slightly muscular look. The bike is powered by a 110 cc, single cylinder, air-cooled, 4-stroke, 2-valve, SOHC engine that churns out 7.39 Bhp at 7000 rpm and peak torque of 8.50 Nm at 4500 rpm. The engine is mated to a four-speed gearbox. Yamaha Saluto RX is equipped with the new Blue Core technology engine concept, the bike provide refined good performance and mileage. The Saluto RX tips the scales at just light weight bike, and this weight plays an important role in helping the bike deliver a company-claimed best-in-class fuel economy 82 kmpl. 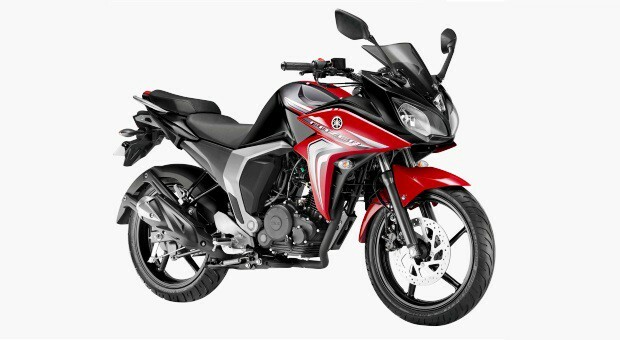 Yamaha Fazer 25 – The Fazer 25 is an entry-level fully faired 250cc sports bike from Yamaha. The Fazer 25 is the faired version of the FZ25. Overall, both the bikes share the same parts. The Fazer 25 come with headlamp also has two LED pilot lamps positioned on either side. The Fazer 25 sports split seats, dual horns and an LED tail light. The instrument cluster on the Fazer 25 is an LCD unit which displays average fuel economy, trip meters and clock apart from speed and tachometer. The bike is powered by a 249cc, single-cylinder, oil-cooled, fuel-injected engine with Yamaha's Blue Core technology which produces 20 Bhp of power and 20 Nm of torque. This engine is mated to a five-speed gearbox. Everything from the tail unit to its handlebar is the same as the FZ25 and the only big difference is the fairing. Yamaha YZF R15 V 2.0 – Yamaha YZF R15 is India's favorite sport bike in 150cc segment, as even after 8 years of launch. Yamaha YZF R15 is the first affordable sports bike in India. The sporty looks and better performance of this bike made it famous instantly and looking at its popularity and rising competition. The bike is powered by a 149.8 cc, Liquid-cooled, 4-stroke, 4-valve SOHC engine that churns out 16.8 Bhp at 8500 rpm and a peak torque of 15 Nm at 7500 rpm. The engine is mated to a six-speed gearbox. The bike come with an influential design and carries all of the advanced engine technologies like liquid cooling and electronic fuel injection. The bike has been popular with those who want efficiency with a whole load of sportiness. Yamaha YZF-R3  (Upcoming) – Yamaha YZF-R3 ia the much-awaited and most attractive entry-level performance bike from Yamaha. The front profile of the bike receives a signature YZF series twin sporty headlamps. The front of the bike is what makes it unique, with its differently designed headlights and a perfectly placed visor. The bike come with a step-up, sporty split seat. The bike is powered by a 321 cc, water-cooled, single-cylinder, 4-stroke engine that churns out 41.4 Bhp at 10750 rpm and peak torque of 29.6 Nm at 9000 rpm. The engine is mated to a six-speed gearbox. The exhaust is one of the coolest parts of the motorcycle, short in length and perfectly shaped. The bike is imported through Completely Knocked Down (CKD) route in the country. Yamaha FZ-S Version 2.0 – Yamaha FZ-S is one of the most successful street bike in India. Yamaha Motor India update the version of FZ-S Series and lunched the new FZ-S Version 2.0 in India. The new version come with featuring a host of mechanical and cosmetic updates. FZ-S come with a muscular body design and promises superior performance. The bike is powered by a newly designed air-cooled, 149cc single-cylinder engine with Fuel Injection (FI) that churns out 12.9 Bhp at 8000 rpm and a peak torque of 12.8 Nm at 6000 rpm. The engine is mated to a five-speed gearbox. The bike come with its new Blue Core engine concept, the bike is also said to be more efficient than ever before. 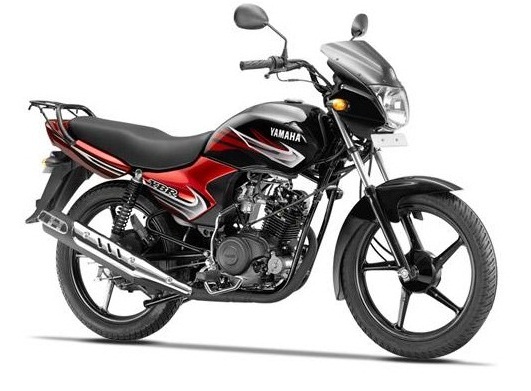 Yamaha lunched in Indian market with an idea of targeting the youth in our country. Yamaha FZ16 (Discontinued) – Yamaha FZ16 is the smallest model bike of the Yamaha’s FZ series. Yamaha FZ is one of the most successful street bike in India. Yamaha Motor India update the version of FZ Series and lunched the new FZ-S FI Version 2.0 in India. The bike design elements are very stylish and dynamic and Yamaha calls it the ‘Lord of the Streets’. The bike is powered by a 153cc single-cylinder air-cooled engine that generates 13.8 Bhp at 7500 rpm and 13.6 Nm of torque at 6000 rpm. The engine is mated to a five-speed gearbox. Yamaha FZ even carries the most effective design out of all other naked bikes of India. Yamaha FZ16 is currently the most affordable FZ series motorcycle in India. 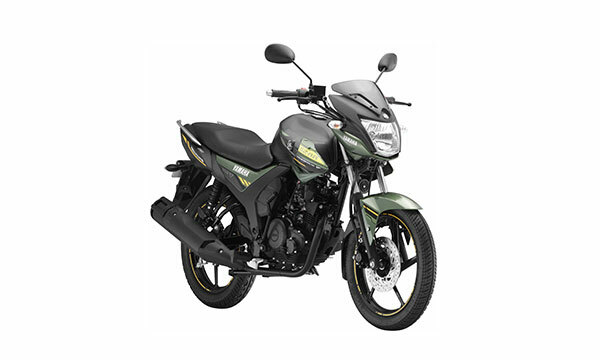 Yahama YBR (Discontinued) – Yahama YBR is another superb ride from Yamaha provided with an electric start as well as an air-cooled engine which is rich in terms of performance and gives an excellent torque well suited for everyday riding. This 110cc machine has a sleek modern fit and wonderful finish & is designed with sharp features. Along with its stylish look, this bike has an amazing performance as well. 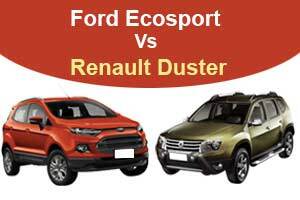 It provides good fuel efficiency of around 57kmpl and comes with a fuel tank of 14 litres. Multi reflector type headlight only adds to the plus of this amazing vehicle. Yamaha FZ1 (Discontinued) – The one and only naked superbike launched by Yamaha in India with an outstandingly brilliant look that will make every other rider jealous of your ride is Yamaha FZ1. Powered with a powerful inline-four 998cc liquid cooled engine which is inherited from its predecessor YZF-R1. It produces nearly 150bhp at 11,500rpm and can generate a torque of 106Nm at 8000rpm. The engine is paired with a 6-speed gearbox with one down and five up shifting gears. It comes with a fuel tank of 18 litres capacity and can efficiently run upto 20kmpl & has front as well as rear disc for superior control. It is available in two colors- Black and White. 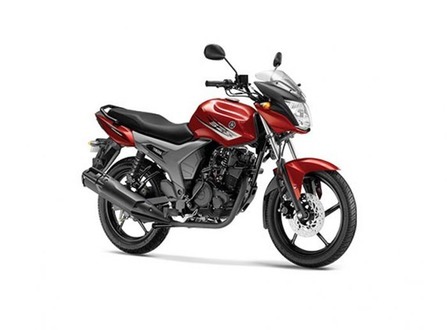 Yamaha Crux (Discontinued) – Yamaha Crux, also known as the successor of Yamaha RX 100, is a 106 cc, 4 stroke motorcycle which is designed by Yamaha with a special purpose, i.e. 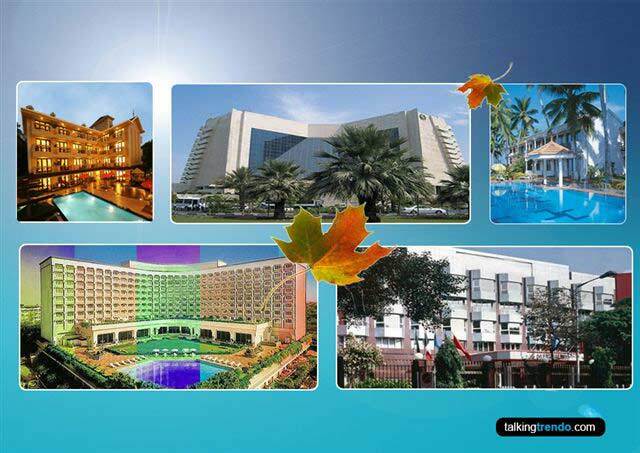 targeting and serving the Indian market. It comes with a single-cylinder arrangement, air-cooled engine, C.D.I. ignition system and a minimum ground clearance of around 160 mm. 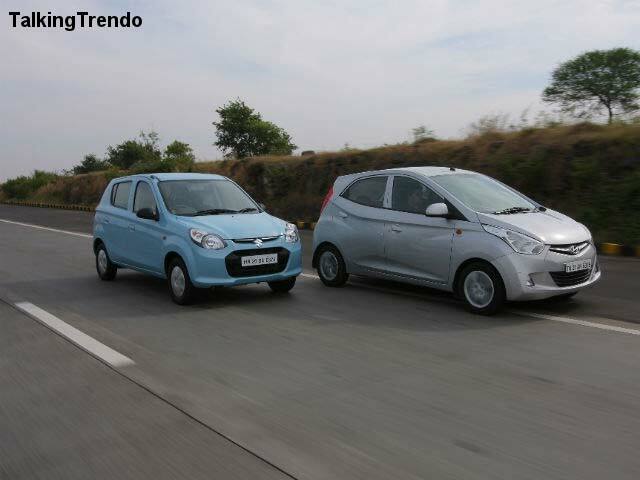 With a fuel tank of capacity 11 litres, this is a promising ride that will give you a mileage of around 65kmpl. This bike is well suited for the rural areas of India and is designed by the company for the same purpose. Yamaha SS (Discontinued) – The magnificent Yamaha SS is an amazing 125cc ride designed for the customers who want to make a statement with their vehicle. The look and design of this motorcycle is inspired from other Yamaha product, i.e. Yamaha Gladiator. Yamaha SS125 is paired with a powerful 125cc single-cylinder air-cooled engine which is capable of producing 10.8bhp at 7500rpm. It comes with an electric self start which is the biggest plus of this bike. With a fuel tank of about 14 litres, SS will give you a fuel efficiency of about 68kmpl. For superior brakes and control, they have provided front disc brake. Yamaha Vmax (Discontinued) – Yamaha Vmax is the powerful cruiser styled sport bike from the Japanese manufacturer Yamaha. Yamaha Vmax one of the favorite performance cruisers among the Indian enthusiasts. The Vmax is design wise it is one of the most attractive bikes available in India today. The bike front profile looks stunning with a rounded headlamp and some chrome element added to it. The fuel tank is chiselled to perfection that gives the bike a masculine shoulder. The bike is powered by a 296 cc, liquid cooled, 4-stroke, DOHC, 4-valve, V-type, 4-cylinder engine that churns out 197.3 Bhp at 9000 rpm and peak torque of 166.8 Nm at 6500 rpm. The engine is mated to a five-speed gearbox. The Vmax comes with latest electronic engine management technologies that offer very good riding experience. Yamaha SZ-S (Discontinued) – The Yamaha SZ-S is an incredibly powerful and attractive ride with an amazing 153cc engine, especially designed for the new generation. This machine is accompanied with a single-cylinder 1533cc engine which is capable of producing 12bhp at 7500rpm. With an electric start and a tank with a capacity of 14 litres, this motorbike is efficient enough of travelling around 600 kms at one go. Fuel efficiency of SZ-S is around 50kmpl.